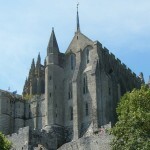 The medieval abbey Mont-St-Michel (St. Michael’s Mount) is located on a tidal island. 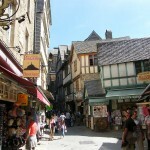 This Island is located on the border between Normandy and Brittany at the mouth of the river Couesnon. 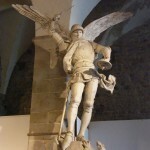 The history begins in 8th Century, when a chapel devoted to St. Michael was built. 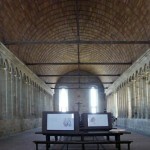 Later was built a benedictine abbey, which was gradually expanded and fortified to withstand the siege Britons. After the French Revolution in 1789, the abbey was closed and converted to a prison. 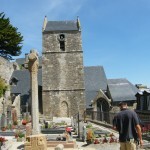 In 1863 the prison was closed and 11 years later was the mount declared as a French historic monument. 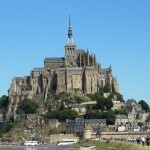 Now, the Mont-St-Michel is an UNESCO World Heritage Site.